« Have you read the updates? 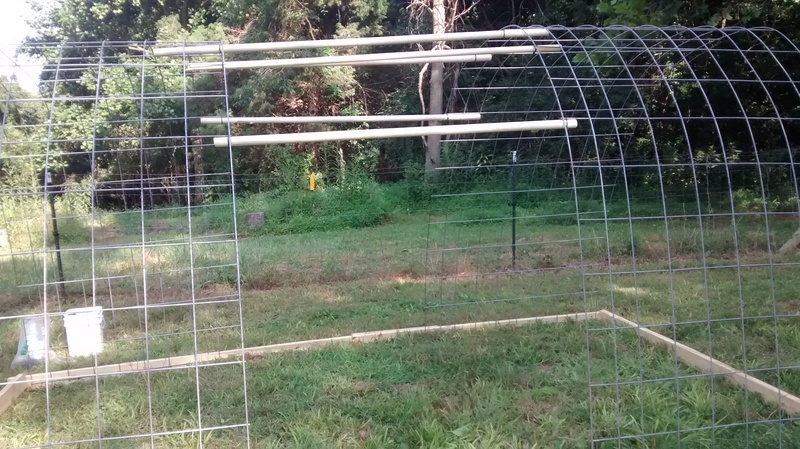 We are building a hoop house! 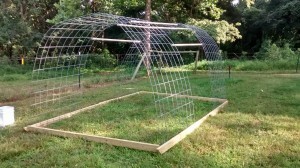 This will house hens over the winter. The bedding from the hens will decompose, creating great compost. In the spring we’ll move the hens out and plant vegetables. The basic structure for the hoop house is a 2×4 wood base, with two cattle panels as the hoop, connected by some PVC pipes that will help support the tarp we’ll be putting over. You can see at the front of the base, we angled the wood. the perpendicular pieces are also elevated about half an inch. These details should make it easier to pull the hoop house to new ground when we choose to do so. We hammered in staples to hold the panels to the frame. This was done with the panel flat on the ground. We then flipped the hoop up. We originally planned on using three panels for the hoop, and then realized we could do without the middle panel, which would decrease the cost and the weight of the structure. 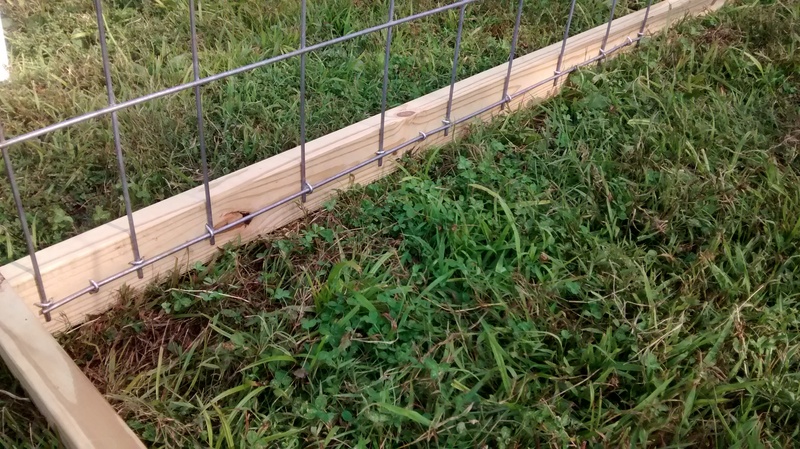 The PVC pipes were scrap we had around, and we ziptied them to the panels. It should be sufficient to support the tarp we’ll use as a covering. 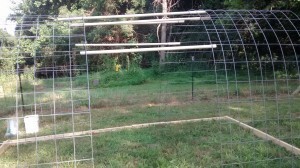 I will post updates as we complete the hoop house!